Versatile and multifunctional DOC Partition & Display Panels allow you to DIVIDE, ORGANIZE & CUSTOMIZE a work or display area however you choose. Mix and match the double sided reversable DOC Mobile Partition Display Panels to create a vatiery of configurations for collaboration & brainstorming, training and display in your office, library, school or museum. Let the creativity and ideas flow using magnets, dry erase, tack board or hook & loop hanging display! Compact and lightweight, the Visionary Move Mobile Magnetic Glass Whiteboard by MooreCo – Balt QUICK SHIP from Bakagain Inc. Double sided modern tempered safety glass, providing exceptional writability and erasability with no ghosting. 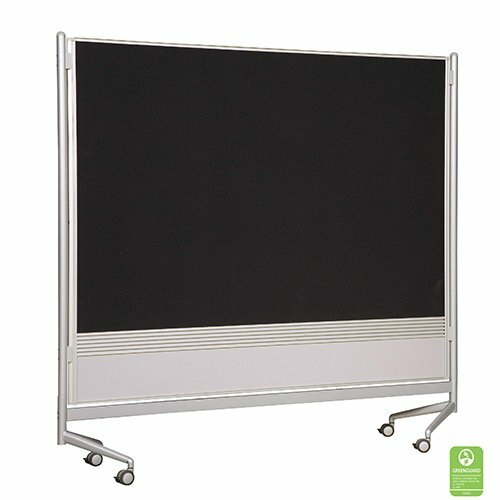 Get up to twice the functional space of a wall-mounted board with a versatile and Visionary Move Mobile Magnetic Glass Whiteboard. Contemporary design – powder-coated steel frame with double-sided magnetic glass, gives you style unmatched writability. Erases without ghosting. 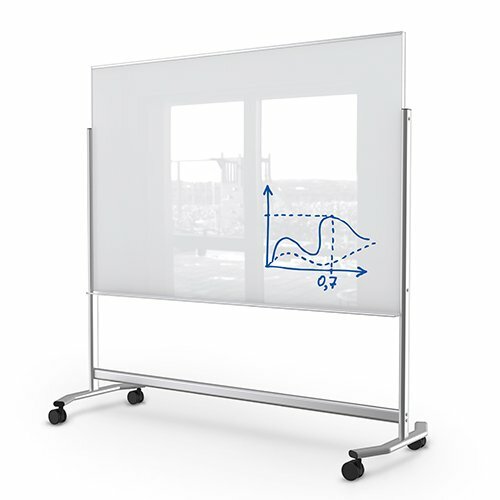 Compact and lightweight, the Enlighten Mobile Glass Dry Erase Whiteboard by MooreCo – Balt goes wherever its needed with ease and now available at Bakagain Inc. Surface is double sided modern tempered safety glass, providing exceptional writability and erasability with no ghosting. Surface is double sided modern tempered safety glass, providing exceptional writability and erasability with no ghosting. Silver powder coated steel trim with dual wheel casters. 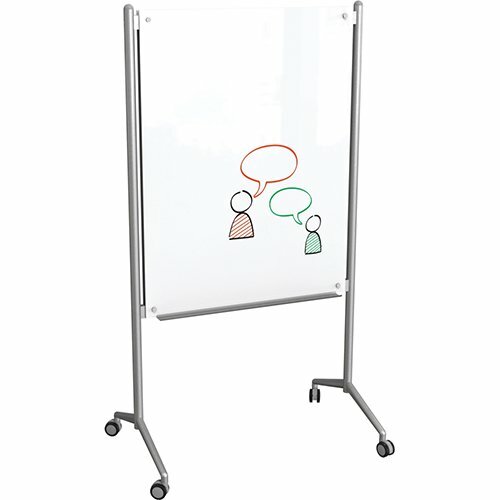 The Enlighten Mobile Whiteboard includes accessory tray on each side.